TEXAS AUTHORITIES HAVE executed a man found guilty of killing a police informant in 1992 after a last-ditch appeal to the US Supreme Court was rejected. Lawyers for 54-year-old Marvin Wilson had argued that he should not be eligible for capital punishment because he had been found to have an IQ of 61, below the generally accepted minimum competency standard of 70. 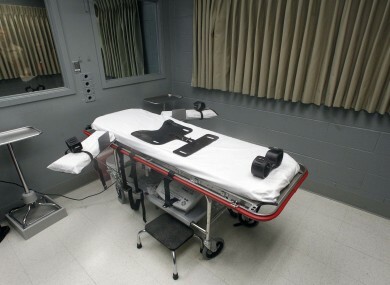 However the Supreme Court rejected the last-ditch appeal late on Tuesday afternoon and the execution by lethal injection took place shortly afterwards at the state prison in Huntsville in Texas. Earlier court decisions had ruled that the IQ claim was based on one possibly faulty test and was not backed up by other assessments or tests. Wilson was sentenced to death in 1994 for the shooting dead of a 21-year-old who had identified him to police as a drug dealer. Wilson never admitted to the crime and maintained that he had not committed it. The Huffington Post reports that no forensic evidence or eyewitness testimony established the identity of the shooter. Wilson spoke to his family members briefly from the gurney. “Y’all do understand that I came here a sinner and leaving a saint,” he said. “Take me home Jesus, take me home Lord, take me home Lord”. Email “Texas executes convicted killer despite claims of low IQ”. Feedback on “Texas executes convicted killer despite claims of low IQ”.